Home Love2love2love married life Just Married! My 2 weeks vacation is over! Oh noh! Huhu.. Back to reality, back to work, back in writing, etc.. I know I have lots of post that I need to write, from my 3rd bridal shower, to our wedding day, supplier's review and our 1 week honeymoon, but for now let me just share you our 1st picture as husband and wife. 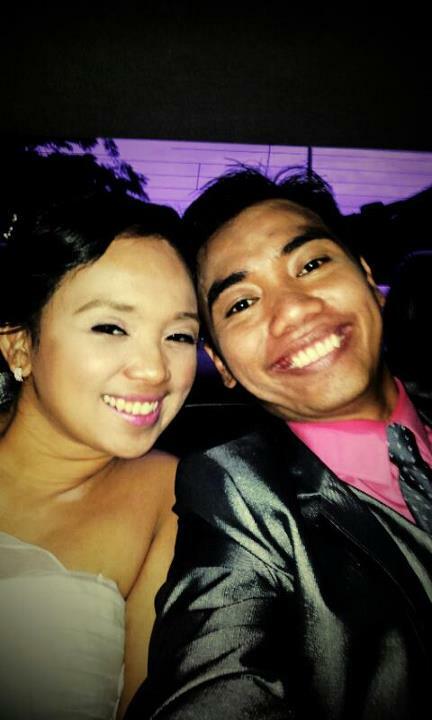 This picture was taken last July 24, 2012 inside our bridal car right after our wedding ceremony at national Shrine of the Sacred heart of Jesus. I'm officially Mrs. Villareal! Woohooo! !